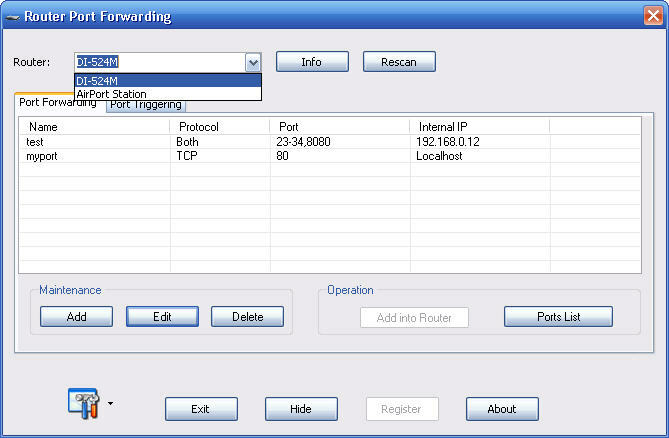 This article explains in detail how to port forwarding & port triggering with Router Port Forwarding tool. In the "Maintenance" panel, you can add, edit and delete port forwarding entry. In the panel "Operation", you can click the button "Add into Router" to add the selected port forwarding entry into router. 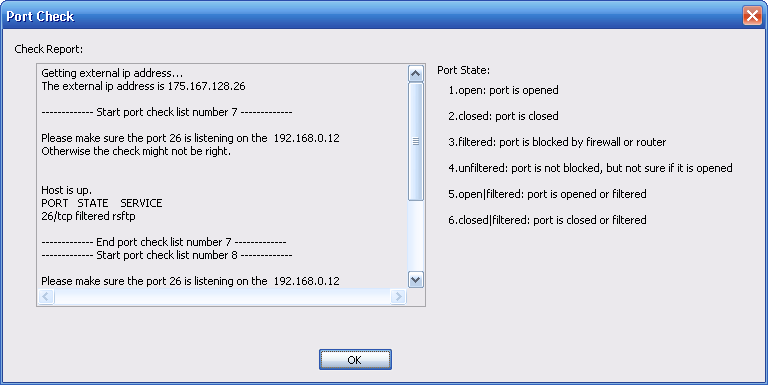 You can click the button "Ports List " to view port forwarding entry in router and check if your port is opened there. 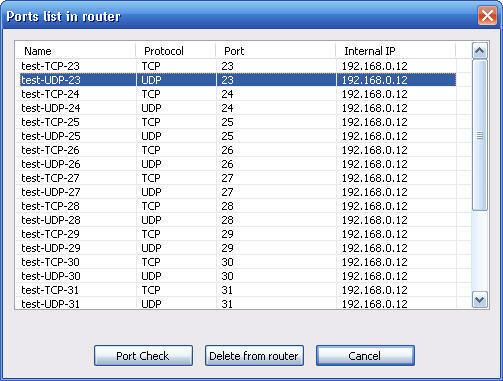 You can select one entry to delete it from router or just click "Port Check" button to check if the port is opened. In the "Maintenance" panel, you can add, edit and delete port triggering entry. In the "Operation" panel, you can click "start" and "stop" button to start port triggering and stop port triggering. Click the button "Add", you will see the following dialog box to let you add port triggering entry. You can click the button "?" on the right side to know what they are meaning for.